When and if the time comes that yourself or a loved one needs a bit of assistance in order to retain an active, independent lifestyle, it can be difficult to embrace this change and to find a caring, loyal, trustworthy solution to the problem. In the past, there were few ways in which to fully vet an assisted living facility or a live-in attendant, but technology has made it possible for us to keep an eye on these facilities and learn more about them before we make a commitment. One way in which this has been made easier is through the use of mobile applications that can track the person’s whereabouts, provide a bird’s eye view of the area or even learn more about each facility in question. In the following article, we will outline three assisted living-friendly apps for Android devices and explain how each can be of service. All too often, we hear horror stories about elderly or otherwise incapacitated individuals in assisted living or special care scenarios that are abused or neglected. This is something that was hard to detect in the past, but this is no longer the case. The Liveinspector app for Android devices can provide a window into your loved one’s assisted living circumstances through the use of a mobile device and a wireless internet connection. Simply activate the app on a device, connect it to the internet and use the app to transmit a live feed of their surroundings directly to your Android phone or tablet. This 24/7 monitoring solution even features a night vision mode to help ensure that nothing bad occurs while your loved one is asleep. 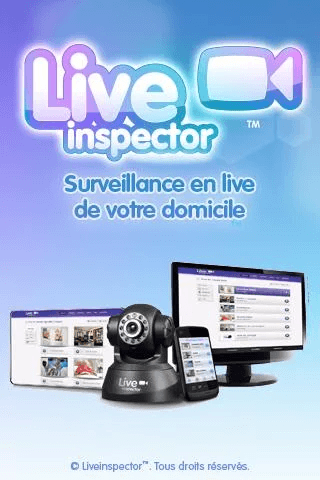 Available for free, you can download the Liveinspector app from Google Play. If you are unsure as to whether a given assisting living facility is right for you or a family member, then you will want to check out Senior Living Resources. This Android application helps users search for assisted living solutions in their areas and learn more about each option. There are thousands of communities included in the app’s database, with reviews and photos available for many. These amenities will help you understand more about the facility and obtain an unbiased view of the facility in question. The Senior Living Resources app can be downloaded from Google Play for free and makes a great companion when comparing various assisted living locations. Last but not least, the How’s My Mom app for Android can be a great way to stay in touch and be informed on what your mom (or other relative) is doing or how they are being treated. The person in question can use their smartphone to check off lists of activities, which are transmitted to your mobile phone for inspection. You can also access GPS data to ensure that they are safe and sound. Many assisted living facilities will have the caretakers in question use this app, but individuals themselves can also be trained quickly on how to use it. The How’s My Mom app can be downloaded from Google Play for free.